Fixed speed systems are more expensive to operate than inverter systems. The full power bursts at startup consume more energy than the low power continuous operation of the inverter system. Initially, a fixed speed system will cost less to purchase and install; however, because they are less energy efficient, they end up costing more to operate long term. Inverter systems are less expensive to operate because they use less energy. Operating continuously at a low power, inverter systems are more energy efficient. Their continuous operation consumes less energy than the repeated full power startup of the fixed speed system. Compared to fixed speed systems, inverters can save up to 70 percent on electricity consumption. Fixed speed systems are poor at maintaining desired air temperatures and often have a variance of as much as 2 degrees Celsius. The system runs at full power while trying to reach the specified temperature, and then shuts off. Within a short time, the air begins to warm. The thermostat senses the increasing temperature and the system restarts. This repeated full power start and stop results in greater temperature fluctuations. The full power fixed speed does not allow the system to operate with precision. Fixed speed systems also do a poor job of evenly distributing cool air. Rather than maintaining a steady pace, the system blasts the room with cool air and shuts down, letting the air warm before restarting. This results in constant hot and cold spots throughout the room. Inverter technology continuously runs, and is able to maintain a consistent room temperature without fluctuation. It is able to vary its motor speed to match the needs of the room. Inverter systems quickly ramp up power to achieve the desired temperature and then reduce power to maintain temperature without expending excess energy. Fixed speed air conditioners take longer to reach the desired temperature because they only have one speed. Unlike inverter systems, they cannot adjust the refrigerant flow rate and therefore take longer to achieve the desired room temperature. You can think of a fixed system like a person sprinting – they use high amounts of energy in quick bursts – starting and stopping hard, resting, and starting and stopping again. Inverter systems are constantly running at a lower speed. Since there are no cycles of starting and stopping, the sharp load fluctuations are eliminated which reduces power consumption. 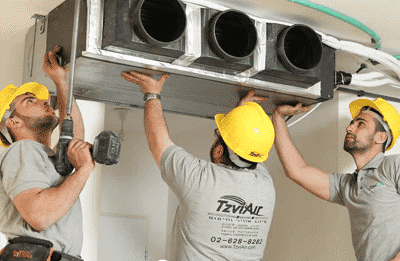 Since the system is always on, the desired temperature is maintained by making small adjustments to the operating speed which is more energy efficient. You can think of an inverter system as a marathon runner — finding an appropriate pace and using a consistent amount of energy to sustain it. In this scenario, the higher installation cost of the Inverter is offset by energy cost savings in less than 2 years. *Actual savings may vary based on temperature and usage. Fixed speed systems do not tolerate extreme temperatures well. They will start to freeze and shut down around 5°C degrees in the winter and be unable to function in the summer above 38°C. Inverters systems can handle the most extreme temperatures. They can keep you warm when it’s -20°C and cool when it’s hot as 48°C outside. A fixed speed system generates more noise than an inverter system. Since the system starts from a full stop, it requires more initial force at startup. This repeated full power start is noisier than an inverter system. Although the compressor motor of the inverter system continuously runs, it is at a lower speed. Its constant operation means that it is already closer to the desired temperature and requires less power to reach it. The result is a quieter operating system. 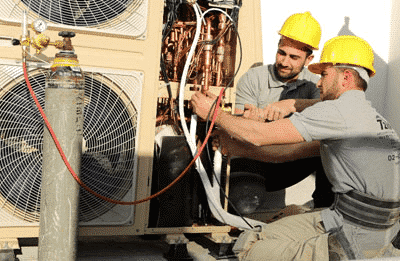 The average lifespan of a properly cared for air conditioning system is typically around 12–16 years, although inverter systems tend to last longer than fixed speed systems. Fixed speed air conditioner systems are subject to more wear and tear as their compressor motors are continuously starting and stopping. This constant wear results in components breaking down quicker and a shorter life span of the overall system. Inverter systems have a longer lifespan than fixed speed systems. The compressor motor continuously runs at a low speed and only makes adjustments to power as needed. Eliminating start-stop cycles increases efficiency, and extends the life of its components and of the overall system.